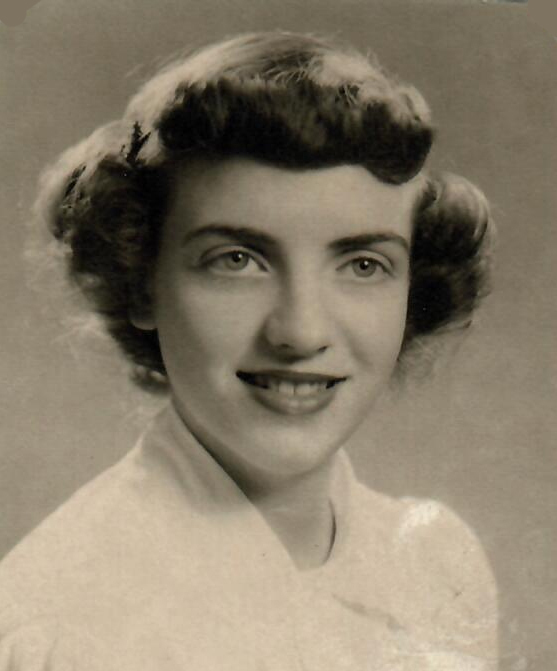 Nadine Morrison Blanchard, 84, passed away Saturday, October 6, 2018. She was born November 14, 1933 in Ogden, Utah to James Coles and Belva Heiner Morrison. She graduated from Ogden High School Class of 1951. She has lived in Washington Terrace since 1960. On August 2, 1952, Nadine married David Lee Blanchard in Ogden, Utah, at the home of her grandparents, Heber J. and Theresa Heiner. She was a member of The Church of Jesus Christ of Latter-day Saints. She had a great love for the Savior. Nadine was also a member of the Jaycees of Washington Terrace, Good Sam’s Camping Club, and the Weber School District Cooks Association. Nadine retired from the Weber School District, having served as a cook at Roosevelt Elementary School for over 30 years. She loved the children. She enjoyed bowling, crocheting, quilting, and lots of cooking and camping with family and friends. Nadine will be remembered fondly for her kindness and love for family gatherings. 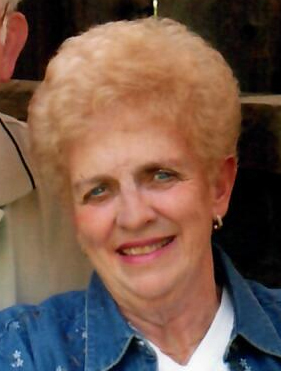 She could often be found swinging on her porch swing admiring her flower garden. She was also fond of ice cream and was not known to turn down a milkshake. Nadine is survived by her husband, David, Ogden; son, Douglas J. Blanchard, Ogden; two daughters, Shanna (Mark) Udink, Clinton; Judy (Robert) Fowers, Roy; seven grandchildren, 16 great-grandchildren, and three great-great-grandchildren. Nadine is also survived by Miss Penny, her adorable little doggie. She was preceded in death by her parents, and an infant brother, which left her as an only child. A special thank you to Rocky Mountain Care and Rocky Mountain Hospice of Clearfield and the nurses who took such great care of our mom; Jacob, Heather, Julie, Sylvia and Sara. Funeral services will be held at 2 p.m. on Monday, October 15, 2018 at Lindquist’s Roy Mortuary, 3333 West 5600 South. The family will meet with friends Monday from 12 to 1:30 p.m. at the mortuary.